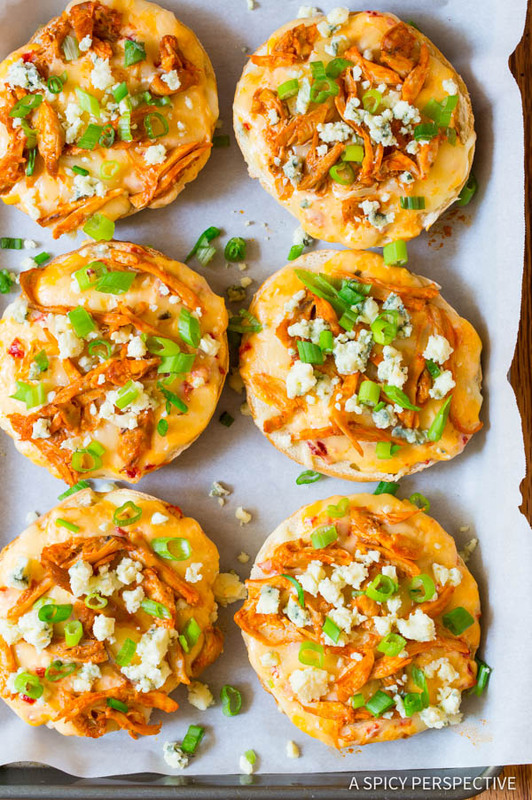 Football season is here, and I’m ready to celebrate with these tantalizing Buffalo Chicken Pimento Cheese Pizza Bagels. Seven simple ingredients, so much flavor! Calling all buffalo wing and cheese lovers! I’ve got something special for you today that you do not want to miss. Have you ever eaten HOT pimento cheese? If you haven’t experienced the shear ecstasy of dipping deep into a bowl of steaming liquefied southern cheesy goodness, you have been missing out. Cold pimento cheese is good, but hot pimento cheese is etherial. Actually the last one is a no-brainer. Bagels. Bagels are the absolute BEST thing to eat with hot pimento cheese, because you can spread it over the top of each bagel then bake them (or grill them) so the edges of the bagel are toasty and the molten cheese drapes over the top, softening the inside even more. It’s like biting into your best childhood memory, while wrapped in a fuzzy pink blanket. You don’t have to trust me on this one… Try it! Preferably on a Thomas’ Bagel, soft and wheaty with that classic chewy exterior. Today we’re serving up comfort food at its finest (with hot pimento cheese!) just in time for your tailgating weekends and game day parties. 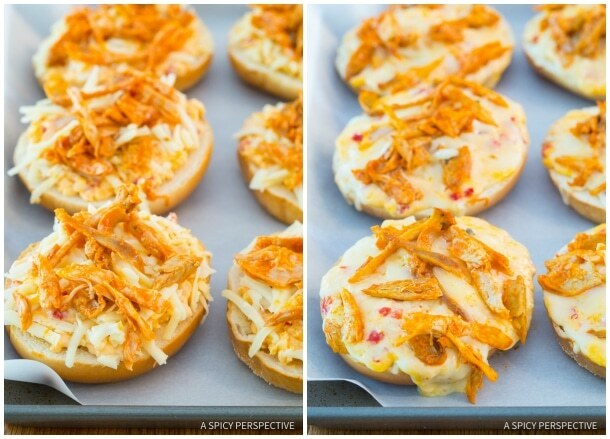 I’ve got toasty Buffalo Chicken Pimento Cheese Pizza Bagels, just for you. Imagine… spicy buffalo chicken, and a thick blanket of hot molten pimento cheese and pepper jack cheese, generously piled on top of a toasted bagel. And for good measure, a sprinkling of blue cheese and scallions on top! This clash of classic comfort foods makes my head spin, for all the right reasons. 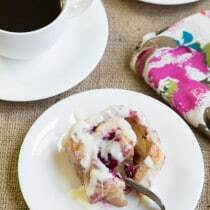 With only seven ingredients, and seven minutes in the oven this is a recipe you’ll make all season. 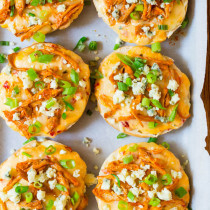 Plus, baking Buffalo Chicken Pimento Cheese Pizza Bagels is a great way to make use of leftovers or store-bought item favorites. For instance, use up leftover chicken mixed with cayenne pepper sauce for the “buffalo chicken. If you don’t have leftover chicken laying around, buy a couple cooked chicken breasts from the prepared food counter at your grocery store. You can also use fresh homemade pimento cheese, or buy your favorite brand of pimento cheese at the store. 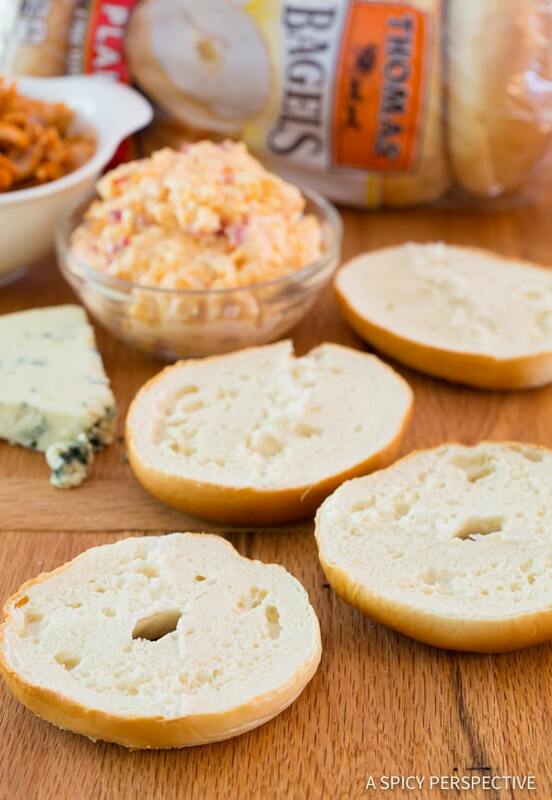 Slather soft fragrant Thomas’ Plain Bagels with the pimento cheese. 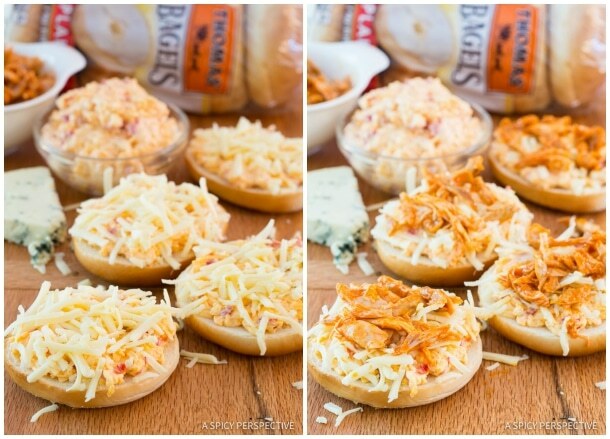 Then top each bagel with shredded pepper jack and buffalo chicken. Once they come out of the oven, the aroma of wheaty goodness, melted cheese, and spicy cheese is intoxicating. But before you take a bite, sprinkle the top with crumbled blue cheese and chopped green onions… It’s worth the wait! 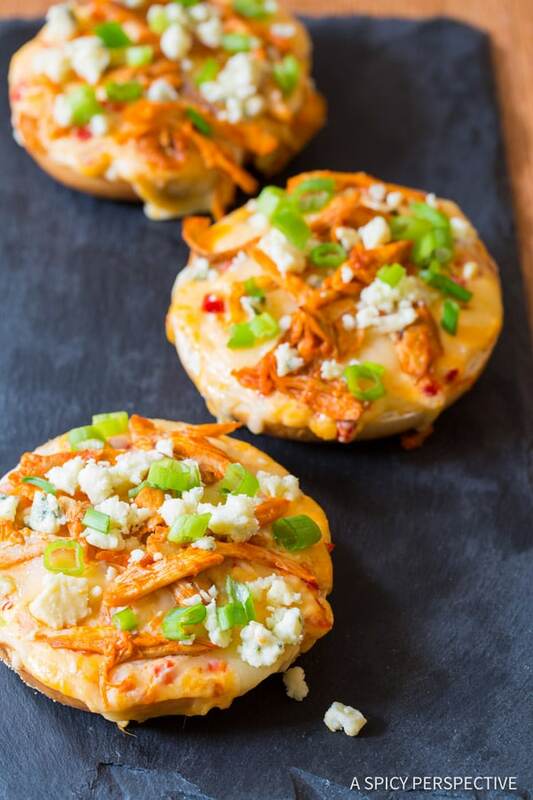 You can make all sorts of pizza bagels with Thomas’s Bagels this season, but don’t forget to give this Buffalo Chicken Pimento Cheese Pizza Bagels Recipe a try. 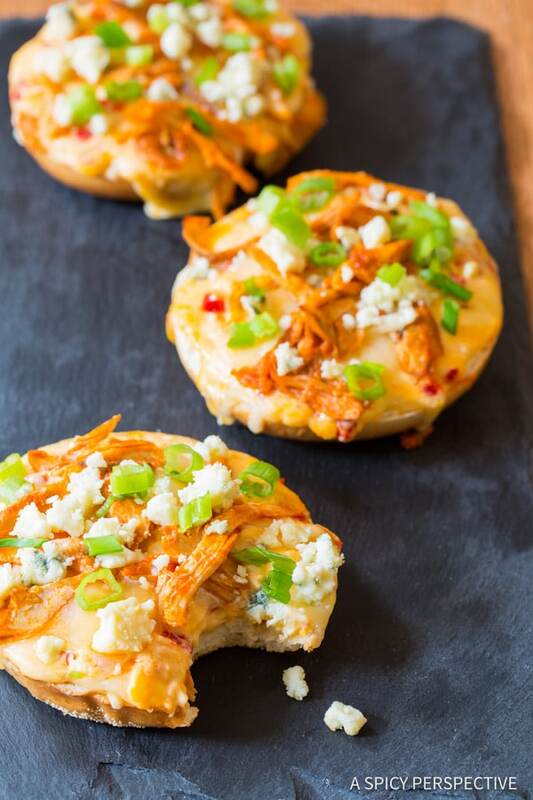 Buffalo Chicken Pimento Cheese Pizza Bagels Recipe. Simple ingredients, bold flavor! 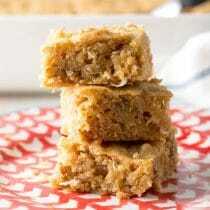 A great recipe for tailgating and quick party snacks. 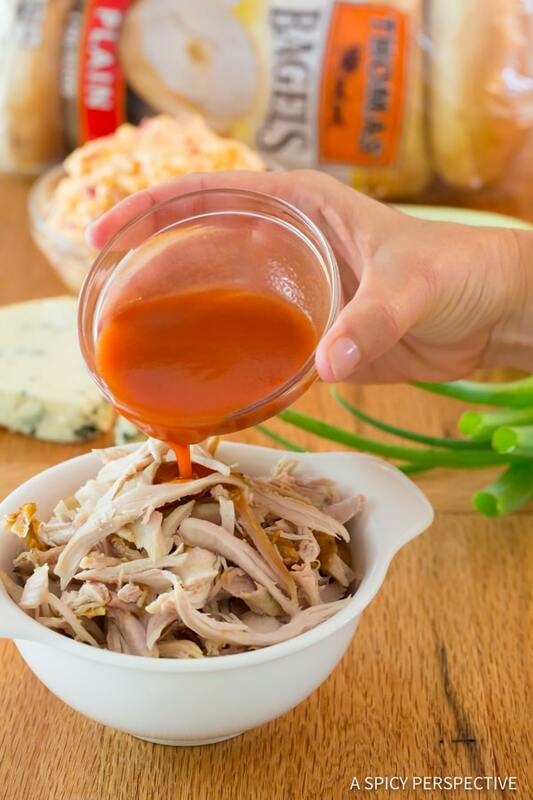 In a medium bowl, mix the shredded chicken and cayenne pepper sauce together to coat. Twist the Thomas’ Bagels in half and lay flat side up. 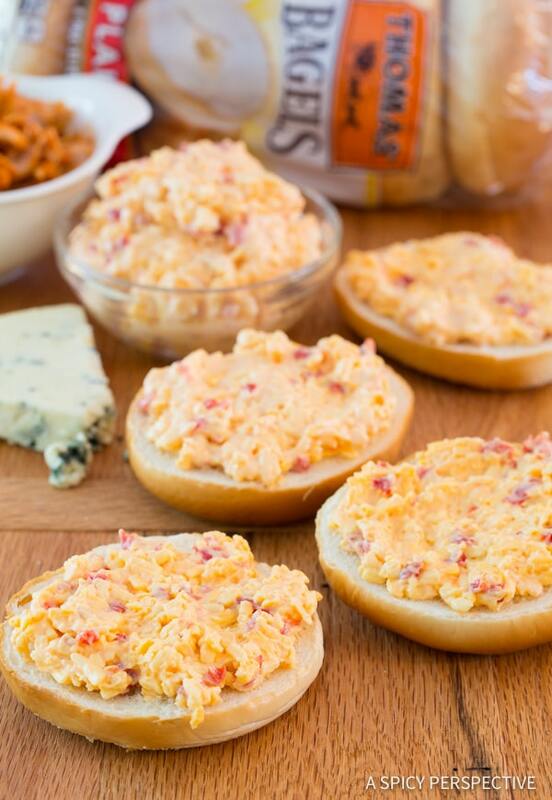 Spread two heaping tablespoons of pimento cheese on each bagel half. Then sprinkle each half with shredded pepper jack cheese and the shredded buffalo chicken. Place the bagels on the prepared baking sheet and bake for 7-9 minutes, until the chicken it warm and the cheese is melted. Remove from the oven and sprinkle each half with crumbled blue cheese and chopped green onions. Serve warm! NOTES: This is a great recipe to use up leftover chicken. 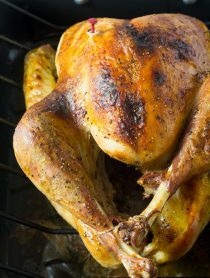 If no leftovers are available, you can purchase a couple cooked chicken breasts from your grocery prepared foods section. This recipe can also be prepared on the grill for tailgating. Heat the grill to medium and toast the bagel pizzas for 5 minutes. Disclosure: This post is sponsored by Thomas’ Breads. All bagel-loving opinions are my own. 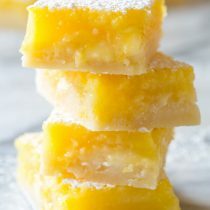 What a fun, easy and tasty idea! I agree with Gaby – would be great for game day! Why have I never had pimento cheese warm?! I’m definitely going to have to try it sometime soon. 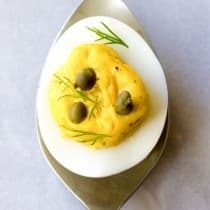 I love Buffalo recipes, yours is amazing, I’m asking please if I can add little garlic on it? perfect game day snack! who am I kidding, perfect any day, any time snack! 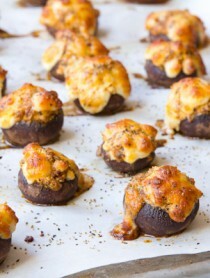 I want these for lunch and dinner, please! I don’t know why we never graduated past cheese and sauce on our bagel pizzas. 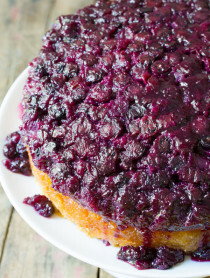 Your jazzed up version looks irresistible!!! This looks like a fun meal my boys would love! OMG!! You have no idea how flipping excited I am to try these. I was obsessed with pizza bagels as a kid. Buffalo flavored? Love it! LOVE anything with buffalo and the pimento cheese is my love! You totally had me at pimento cheese! Awesome flavors! 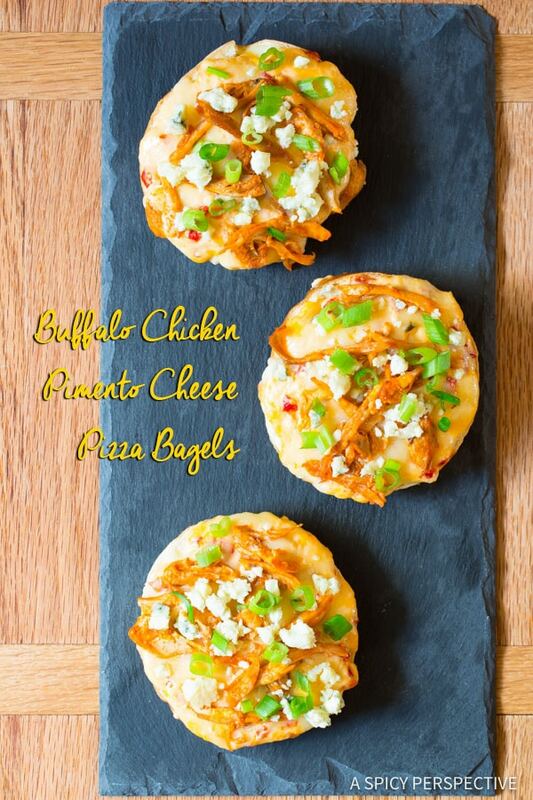 Love these pizza bagels!